We have worked with schools and their business and IT managers for nearly 35 years and understand just how much the education landscape has changed and the financial challenges being faced by head teachers, business managers and staff. 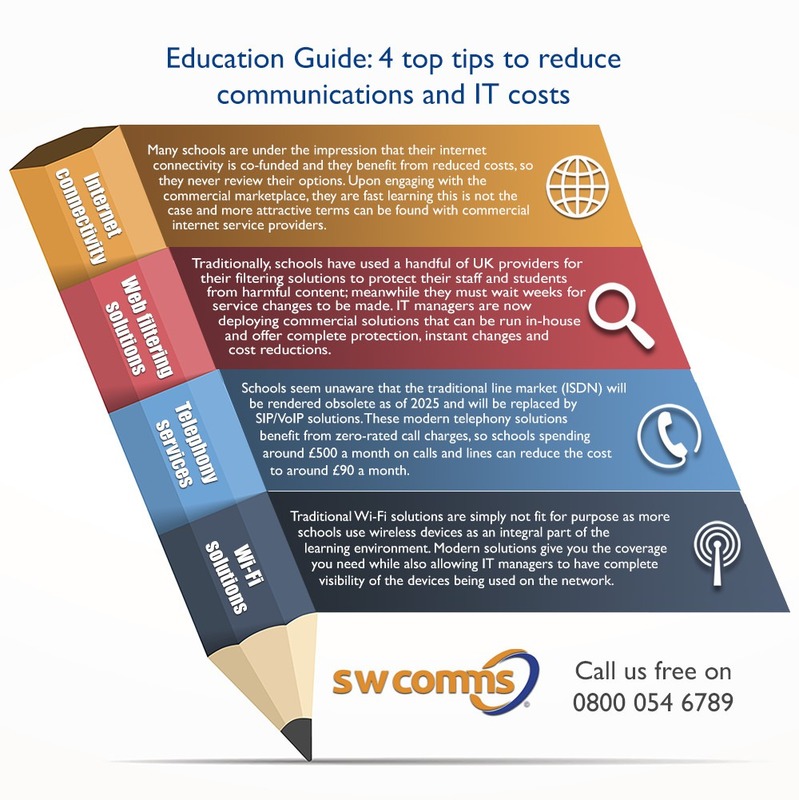 Our infographic below provides the 4 key tips on how schools can reduce their communications and IT costs and ensure you have the solutions that are fit for purpose and meet education requirements and to help you retain and attract staff and students. Even as budgets become more restricted, our team can work with you to help you achieve within your current budget or less. Visit our education page to find out more about the solutions we provide to primary and secondary schools. If you would like one of our education specialist to contact you please email sales.enquiries@swcomms.co.uk.